Gen Power offers a variety of 60kW generators including the WhisperWatt Super-Silent generator from MQ Power. 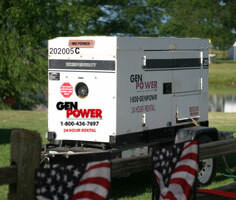 These Generators offer reliability while achieving sound levels that are 11 percent quieter than others in its class. And to safeguard the environment, each WhisperWatt Generator features an integrated 24-hour fuel tank with a fluid containment system. 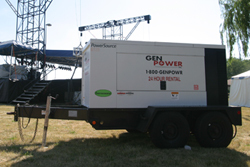 Their dependability and quiet operation make for great sources of portable power in the construction and entertainment industries.